based on their Availability and Location as shown in Task Assignment Interface of Cloudtrac. Field executives also have self Service request creation from mEdge, which also help to better connect with Customer and improve the SLA and TATs. Service and Sales opportunity with them. Service executive based on the location. On daily basis Field Executives will update Travel claims and availability of theirs from mEdge. This helps finance Team to do quick analysis of claims and helps faster processing. This also helps HR Team to get updates on executive Time sheet. In order to run the operations its critical for stakeholders to be in sync and share necessary info,be it task related, expenses, organization announcements. 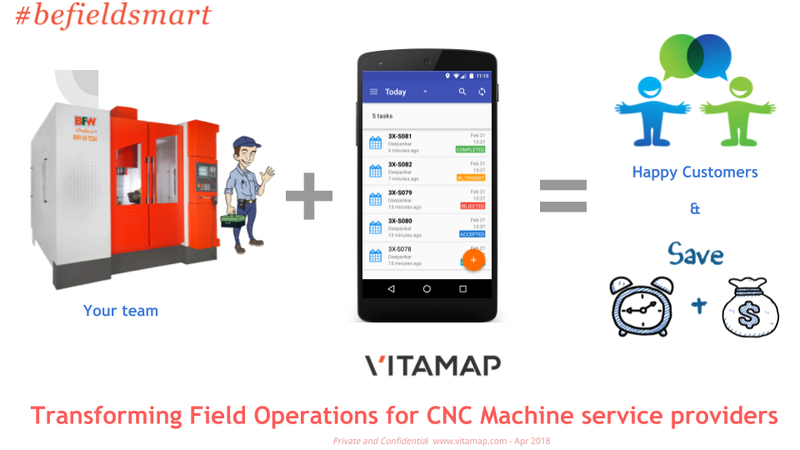 It's also common for product catalogs, service SOPs, schematics to get updated.Coordinators use Message Broadcaster to send communications in Bulk or one to one along with document attached, ensuring friction-less knowledge sharing. Overall the analysed information in the Central system Cloudtrac helped the Backed Team to better and faster allocation of resources at right time and right place has improved MTBF and MTTR along with Customer satisfaction. Also it improved Field Service, Sales and Workforce management with Digitally signed activity reports.